Two trunk lid supports for a 2012 Mazda Miata MX-5. $17.00 including shipping to the United States. For sale is 2 Mazda Miata trunk lid supports as removed from a new 2012 Miata. These are for a car without a rear spoiler. They were removed from a new car before we took delivery. 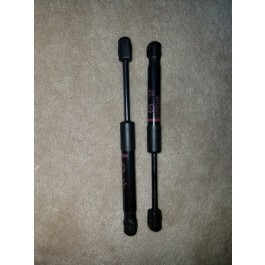 They are $17.00 for the pair including shipping. I will only ship to the United States.